Even though Analogue and digital hearing aids look similar, their processing of sound is dissimilar. Acoustic signals are converted into electrical signals to produce amplified sounds in an analogue hearing aid. Whereas acoustic sounds are converted into digital signals using a processor in digital hearing aids.Amplification of sound in digital hearing aids like Resound, Oticon, Phonak can be customized to compensate for the hearing loss very accurately. Various sound situations can be programmed to match the environment around. For example travelling in a crowded city like Chennai it is possible to program the digital hearing aid to various high frequency sound settings such as reduction of loud horn sounds from heavy vehicles or even noises from a crowded market place. 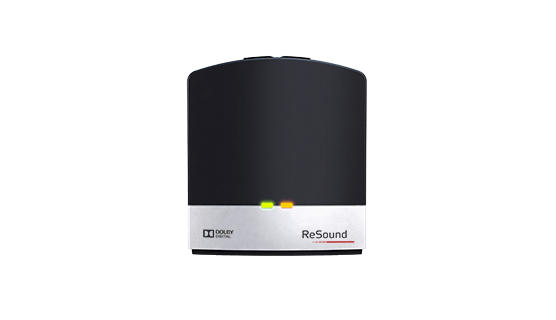 Hearing aids like Resound, Unitron switch settings automatically to suit the environment. Feedback or whistling noise is very much reduced in a digital hearing aid. BTEs are used for all types of hearing loss and they come in a variety of styles and sizes. Many have multiple directional microphone systems for improved understanding of speech in noisy situations. 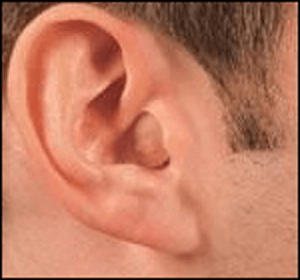 Behind-the-ear hearing aids can be open-fit or closed-fit. These BTEs offer more power and easier handling because they are larger. 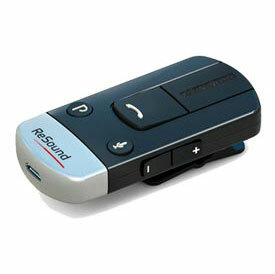 Most are compatible with assistive listening devices (Accessories) and are suitable for mild to profound hearing loss. 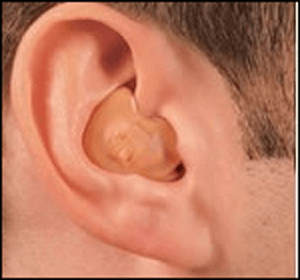 The ear mould connects a BTE instrument to the ear and is individually shaped for each wearer. It fulfills multiple functions for acoustics and better hearing. 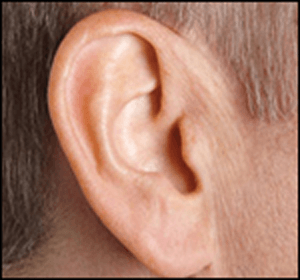 BTE hearing aids with ‘open ear fitting’ have a small, soft earpiece at the tip of the tubing instead of an ear mould. 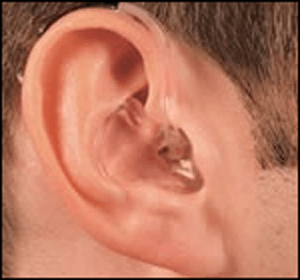 This type of fitting can be less noticeable than an ear mould. Open fittings are more comfortable and avoid the collection of moisture in the ear. But, they are only suitable for certain hearing loss. 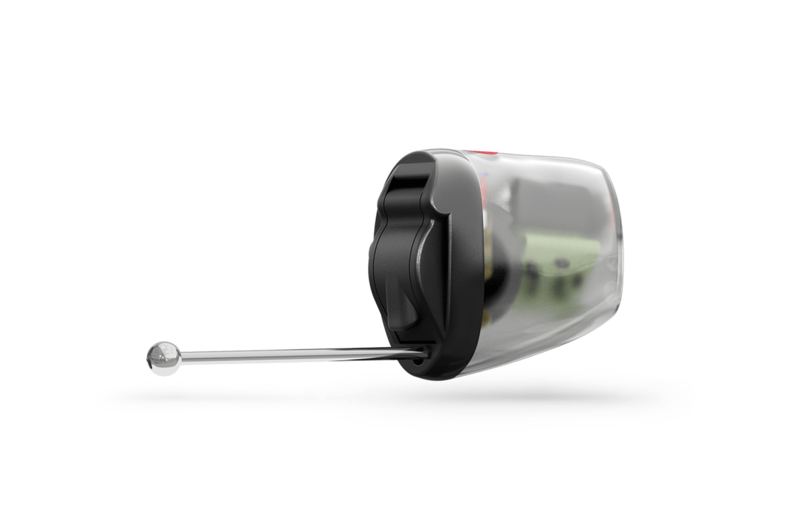 The IIC is the smallest custom hearing aid available. This tiny ultra comfortable hearing solution fits deeply inside the ear canal making it hidden from sight. 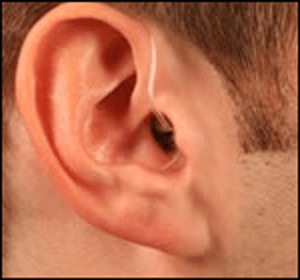 Since the microphone is at the opening of the ear canal and the receiver is further in the ear canal. This style provides the most natural sound quality. 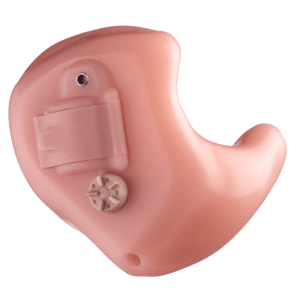 Completely In The canal hearing aids or CIC as they are frequently referred to are custom fit hearing aid which fit inside the canal of the ear, thereby making it discreet and hardly visible. Natural sounds are heard with a great clarity in CIC hearing aids as its microphone is designed and placed at the ear canals opening. Custom fit hearing aids are not recommended for patients with period ear infections. At Denoc, Chennai we have our in house hearing aid shell manufacturing unit for cosmetic (custom) type hearing aids. This provides us an upper hand to provide precise design & timely delivery. Custom-made to fit securely and comfortably in the ear making it more suitable for people with battery life concerns. ITCs are larger in size than the CIC and are suitable for mild to severe hearing loss. Volume control and program button options available. ITE (In The Ear) hearing aids are comparatively larger in size than ITC hearing aid. Patients with dexterity (hand skill) challenges are recommended for ITE hearing aid. These are also customized hearing aids that fit in the outer ear making it secure and comfortable for patients with dexterity issues to handle. 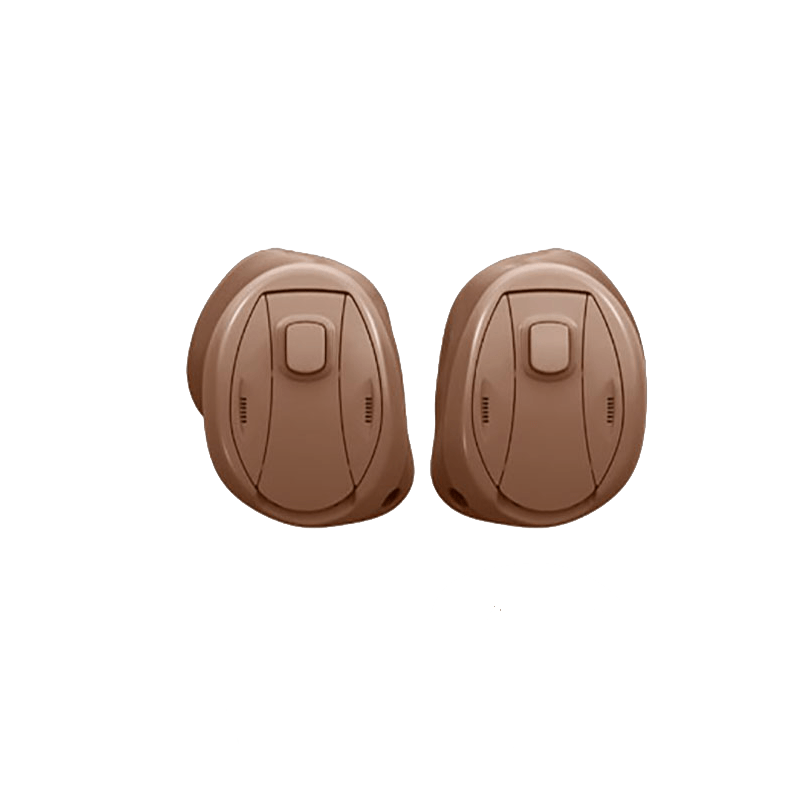 Due to their rigid size and provision for increased battery power makes ITE hearing aid appropriate for patients with mild through profound hearing loss. 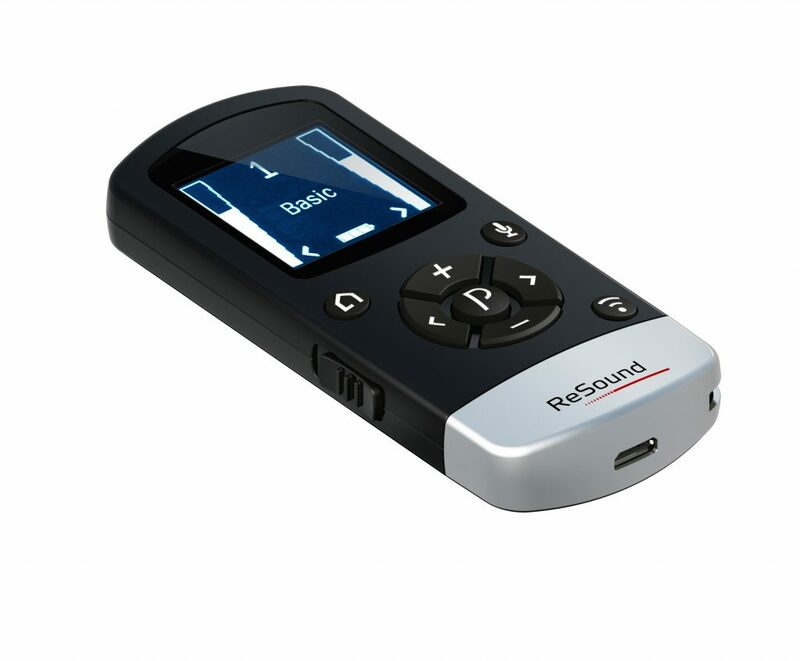 As an additional feature volume control and programming buttons are available in outer shell of the hearing aid. As a result of constant inventions & developments in the hearing aid industry, we witness Receiver in The Ear (RIE) or also know an Receiver in The Canal (RIC) hearing aidas an outcome of next generation BTE (behind the ear) hearing aid. Kudos to the design team of RIC/RIE for making it lighter in weight, small and sleek, colorful & adorable. 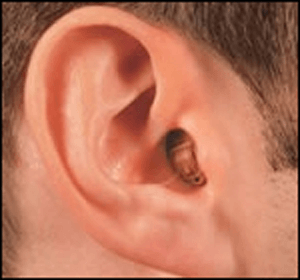 These hearing aids fit tight behind the ear and therefore using a nearly invisible slim tube the processor in the hearing aid is connected to the receiver in the ear. 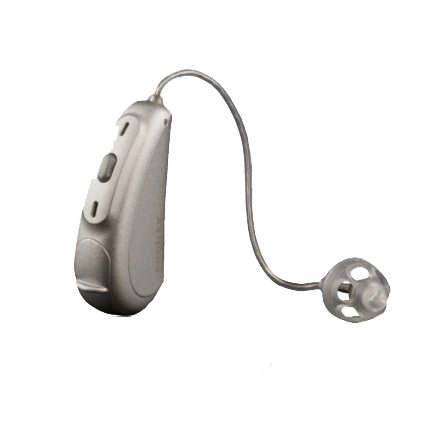 Since sound receivers are kept in the ear canal, these hearing aids can deliver high quality sound. Occlusion effect is decreased & natural sound processing effects are increased in a RIE/RIC Hearing aid. 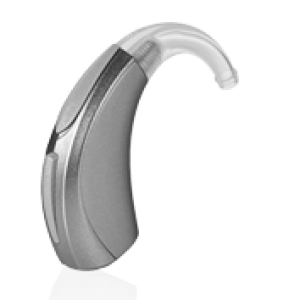 Denoc, a best hearing aid centre in Chennai can offer its users a wide variety of RIE/RIC hearing aid from several leading manufacturessuch as Oticon, Unitron, Widex, Interton& many more.